GMC revealed yet another 2019 Sierra variant heading to production later this year in the 2019 Sierra Elevation. But, with the announcement came an important piece of news: GMC confirmed the new 2.7-liter L3B turbocharged four-cylinder engine. 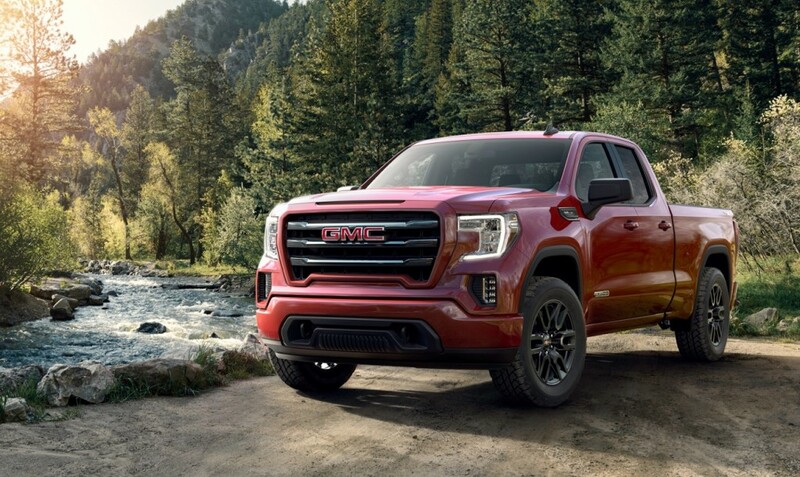 Although it’s not a shocking confirmation, it’s the first time GMC has mentioned the 2.7-liter turbo-four with the 2019 Sierra. Previously, Chevrolet announced the engine will replace the 4.3-liter V6 engine in volume models like the LT and RST trims. We don’t know exactly what other Sierra variants will feature the new engine, but GMC confirmed the Elevation model will arrive with the 310 horsepower powerplant as standard. The 5.3-liter V8 engine with dynamic fuel management will be optional. GM has said in the past that the four-cylinder engine was developed for truck duty, first and foremost. Thus, the 348 pound-feet of torque comes on between 1,500 rpm and 4,000 rpm. The engine also weighs almost 400 pounds less than the V6 engine it replaces. Additionally, the 2.7-liter L3B engine introduces active fuel management for an inline-four engine, a first for General Motors. As the pickup approaches production, we expect GMC to break down exactly which trims will feature the 2.7-liter turbocharged four-cylinder engine. Stay tuned to GM Authority for the latest. Sean, you yourself already know it’s the (truck) that weighs almost 400lbs. less (380) then the old truck with the 4.3 V6! The 2.7 is 80lbs. less then the 4.3 engine! The LT1 engine weighs just 465 lbs, so it would take a whole lot of pixie dust to shave 380 lbs. from the 4.3 V6 engine! 0-60 in less than 7 seconds is pretty impressive for this engine as well! So, does the 2.7L make the 310hp-348ft-lbs on regular or premium? I’m reading conflicting reports. If premium, nobody’s gonna opt for this engine in a truck. Thanks. Regular. Chevy engineer confirmed it. I want to hear what this thing sounds like. General Motors should allow customers pick the L3B 2.7L DOHC-4v 4-cyl turbo as a no cost alternative to their 3.6L DOHC-4v V6 given how this engine should give an advantage in overall performance and fuel economy. This engine would make a great replacement for the 3.6 across all models and brands. Less HP but way more torque than the 3.6 in longitudinal applications. Who knows how the numbers would change in transverse applications? What GM needs to do is put this engine (L3B) in the CT4 and XT4 — at least as an option. 237 hp from the new 2.0T is anemic, particularly given that the out going 2.0T made 272 hp. 310 bhp with 348 lb-ft @ 1500 rpm however is a perfect match for CuteUV powertrain demands and arguably a good match for around town puttering even in heavier cars. GM should also develop a performance derivative of this 2.7T engine to power the Camaro SS or the CT4-V or cars of that nature. Simply switching to a turbo like the Honeywell G25-550 and adopting air-to-water intercooling will easily raise power to about 420 hp / 420 lb-ft with about 22 psi of boost (not much higher than the 20 psi the engine already peaks at). That is basically an LS3 engine.